Is it water filled ?. ankle, knee and hip rehab/strengthening. "Click here for list of Activa Applications"
This inflatable 32cm long spiky lumbar roll is air inflated. It functions better than the "rolled towel". 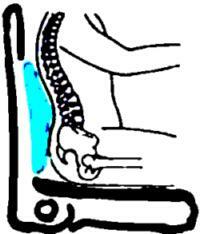 The Spiky lumbar roll does not collapse or flatten under load. 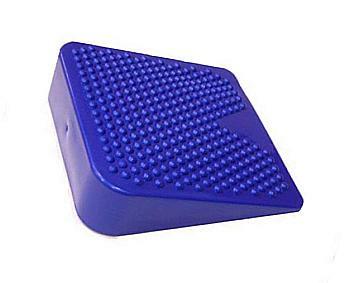 The rounded tipped spikes provide tactility, massages, while improving blood circulation and sensory stimulation on the Special need kids. The roll may be strapped to a chair with a full back or placed against the lower lumber. 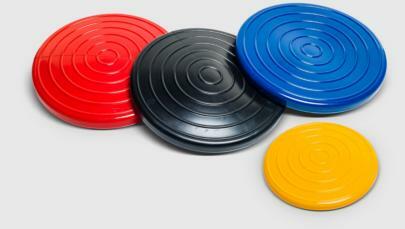 Regulate the air in the roll to customise the comfort and support required. lecture theatre, etc. 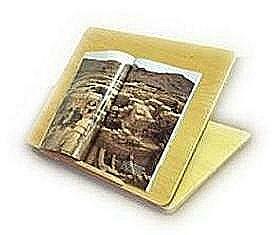 To support thicker books, please speak to us on customisation. 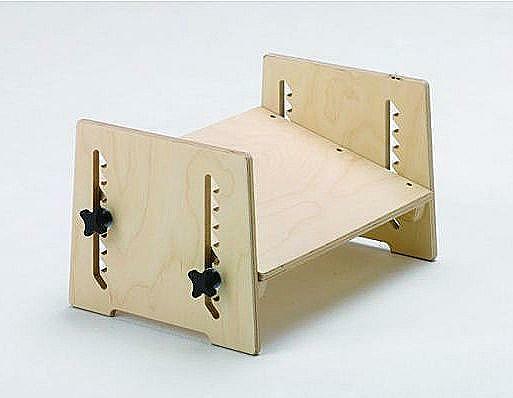 Next is an alternative to the Adjustable Read/Write Slant Board above. 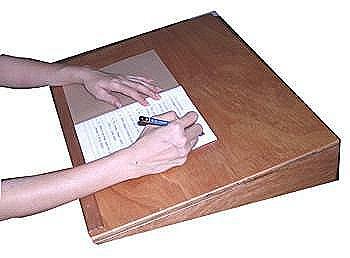 A Writing Board, set at an optimum 13 degrees. proper sitting posture with an "S" curve. 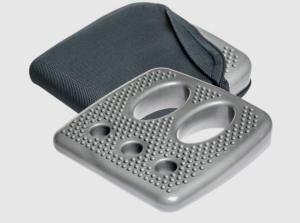 The rockered foot rest allows it to be tilted for user's ankle and feet comfort. the user to "fill the feet gap" and "feel" the ground. 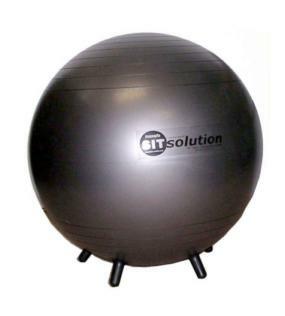 The therapeutic effects benefitted from sitting on a ball outweighs that of a conventional chair. 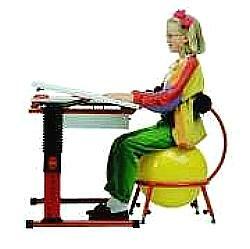 Sitting on a Ball Chair require the use of trunk and abdominal muscles to support the upper body maintain the correct posture through bio-feed back. 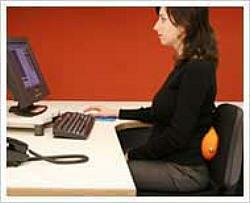 Slouching causes the user to fall backwards while slumping forward transfers the body weight to the feet. 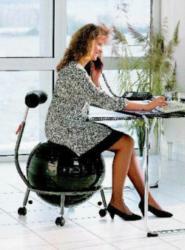 Sit on it to realise the effectiveness of sitting on a Ball Chair. 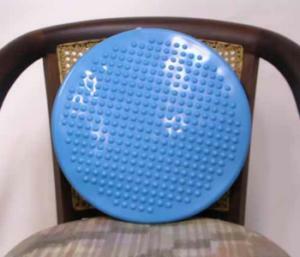 "click here on use of Ball chairs and benefits"
The air-inflated or water filled "full lumbar support" with a smooth and a nubby side, requires minimal air/water inside the lumbar cushion. It contours itself according to the user's lower back naturally. 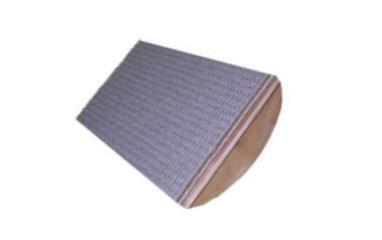 Unlike the "foam" or "rolled towel" lumbar rolls, it does not collapse after prolonged use. For that cool effect, fill it with water. 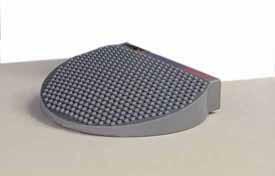 This device is similar to Activa® except for the nubs, is manufactured strictly for use as an effective, low cost, lumbar support. With every movement the user makes while seated on a chair with the Nubby back support, it dynamically fills the void at the lower lumbar region, which had been unsupported. Care should be taken not to place the full weight on it.